Every weekend we dig into the archives. This post, which is quite topical given announcements on Thursday, was first published in August 2016. 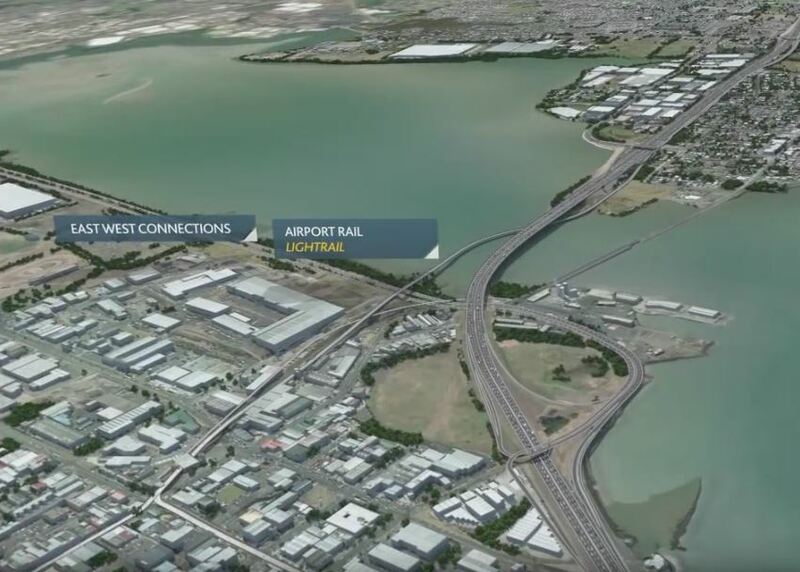 Auckland Transport have published a new version of their airport rail video, essentially stripping out the heavy rail parts while also adding a little bit more detail about the airport. Perhaps one of the more interesting aspects is it shows a bit of how light rail would get through Onehunga. It appears the plan is to elevate the light rail line over Neilson St right where AT are about to remove the bridge that lifts the road over the rail corridor. So let’s step through some of these and to do so, I’m going to use Seattle as an example. 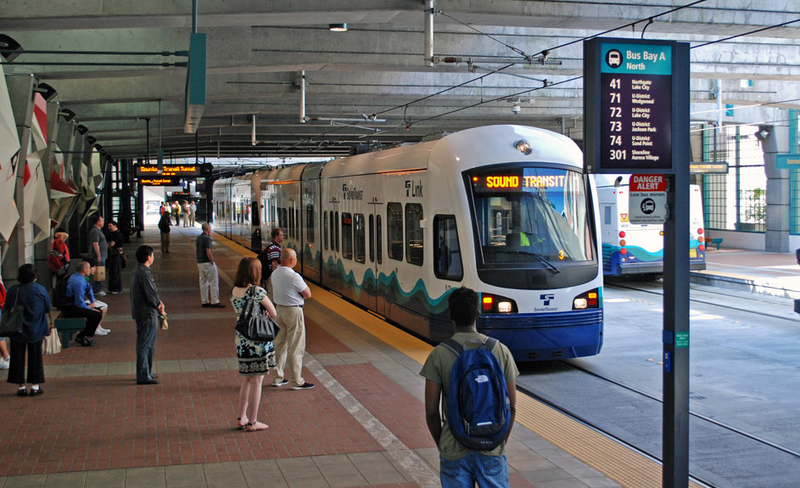 The reason for using Seattle is that its Link Light Rail has many characteristics that appear to be almost identical to what Auckland Transport is proposing. First a little bit about the system. Seattle has only recently started building its light rail system and the first section opened in July 2009. Since then there have been a couple of extensions, to the airport in the south (six months later) and just in March this year, a 5km, 2 station extension to the north. Further extensions in each direction are already under construction with other lines and extensions planned. As of now the entire light rail system is just over 30km in length which is almost identical to the distance between Papakura and Britomart. It does have fewer stations though and outside of the city, much wider station spacing. The route is a mix of grade separated right of way with a mix of tunnels and bridges, median running and in the city centre it shares one tunnel with buses. Below is an image from Streetview showing Martin Luther King Jr Way which a 6.2km long section of median running and is similar to what we can expect along Dominion Rd. As you can see it is not mixed with traffic and the rail is separated from the road by a small kerb. Access across the tracks at intersections is controlled by lights. The light rail vehicles used in Seattle are capable of speeds up to 105km/h which at maximum is only 5km slower than our heavy rail trains are capable of, and which ours don’t often get close to achieving in normal service. Seattle has some fairly lengthy sections which over which I imagine it is able to make the most of it’s speed. That means it only takes about 44 minutes to travel the 30km for an impressive average speed of just over 40km/h. That is about the same average speed as the Eastern line from Manukau but considerably faster on average than the Southern, Onehunga and Western lines, the latter two average less than 30km.h. Even if you exclude the section from the Airport to Rainier Beach and from Westlake to the University of Washington, the system achieves similar average speeds to our network. Obviously our existing trains need to be faster but that is a discussion for a separate post. What is clear is that at the very least, it is possible to get light rail up to a similar speed as what we’re achieving now with our rail network. To achieve the times Auckland Transport claim, LRT would only have to average 30km per hour, the same as being achieved on the Rainier Beach to Westlake section. With AT planning to create a corridor like shown above (but with a single traffic lane instead of two), that should be possible. There’ll be no light rail mixing with cars and also no stopping ever few hundred metres like many buses and many traditional tram networks such as Melbourne do. It’s all very well saying that heavy rail has more capacity but just because you can build a rail line capable of running trains with a capacity for 1,000 people every 90 seconds, it doesn’t mean you should. It is very expensive both to build and run so most cities only do it if they absolutely need to. Better to build enough capacity for what you’re going to need (plus a bit of redundancy). As we know, AT are planning on using up to 66m long light rail vehicles (two 33m coupled together) that can carry up to 450 people running every 5 minutes. Looking over at Seattle, they have 29m long vehicles that can carry around 200 people running at up to every 6 minutes in the peak. They too can couple vehicles together and until recently were limited to joining two trains together but their system allows for up to four to be coupled. Four vehicles connected together would be around 116m long and carry up to 800 people – more than one of our 6-car trains are designed to carry (ours carry 750 people). Given the technology is obviously already available, there doesn’t seem to be a technical reason why we eventually couldn’t see longer light rail trains here – assuming we designed for the possibility. Another way of looking at capacity to see how it’s performing. Sound Transit who run the system publish ridership data monthly. The opening of the extension to the University of Washington in March has seen ridership soar at up to a staggering 83% compared to the same month a year prior. That means over the last few months, this single LRT line is carrying more than Auckland’s entire rail network combined. The results suggest that by the time the extension has been operative for a year that their system will be carrying 20 million+ trips a year. Seattle’s weekday numbers are about the same as what we have but they do much better on weekends, something we’ll hopefully see the new network improve. On both speed and capacity, the example for Seattle shows that Light Rail can be every bit as good as our current heavy rail system. For me the key is not the name of the mode but how it’s designed. The pressure that needs to be applied to Auckland Transport, the council and the government is to provide the funding needed as soon as possible and to ensure that it’s implemented to the level advertised in the video above (or better). Light or heavy, it’s still rail to the airport. I’ve said it before but will say it again as it needs to be repeated now that the LRT is a goer. The Seattle system is good, but has two fundamental issues that AT should learn from and not repeat. 1. The internal design and layout of the LRT vehicles themselves is poor. The vehicles like that shown above are really two separate halves (and A and a B part) with no interconnection between them [a bit like a mini 6 car EMU set if you like]. They also have compartments inside the LRT cabin area for electrical and aircon equipment. Both of which lead to the units feeling cramped and a bit pokey – like a sort of “old school” bus design. That may be in part to allow the use of low-floor boarding. But I am sure we can do a lot better. They do not look or feel like the EMUs inside in any way, shape or form, even if they vaguely look like it externally. The folks of Seattle don’t have the likes of our EMUs to compare to, so their LRT design probably seems normal to them [and a step up even]. But whatever LR vehicle AT use it needs to be to a much higher standard of layout, with the inside layout being as open as possible like the EMUs without “dark corners” or intrusive compartments – both for passenger safety and practicality. 2. The Seattle-Tacoma [SEATAC] airport LRT station is located at the very edge of the airport precinct. You arrive at the north eastern corner of the quite open and thus exposed to the wind/rain car parking building opposite the terminal proper – which means there is quite a hike to get to/from the LRT station to the terminal. You cross into the terminal via one of several airbridges. So Its partly undercover for some of it but you’re definitely in a wind tunnel for most of the walk. It can feel like being on a dark noisy Wellington street on a windy day though as you walk through the car park building. Worst case you’ll have something over a 600m walk to get to the southern-most airport entrance. Average distance is something like 400m from LRT station to walk. Buts thats just to get into the terminal. You’ll still have a long hike to get to where you need to be or are coming from when arriving. Plus you’ll need to go up/down 1 or 2 levels to get to the right level as well. Its like the airport only grudgingly allowed the LRT to access the airport, and shoved it where it was least disruptive, its not integrated front and center as it should be. It truly feels tacked on and also a bit of a hidden secret like they’re ashamed to have it. AT and NZTA [as co-funders] need to lean on the Airport company so that the LR terminus at the airport is easy to see and get to and from. For both international and domestic passengers. It needs easy to get across into the terminal proper, and not just dumping you out near the Auckland Airport police station, when you actually need to use the Air NZ domestic terminal. Which is what Seattle in effect does. Properly it should be right under [or above] the terminals, so you arrive/depart right below/or above where you will be arriving or departing from. Auckland airport doesn’t currently separate arrivals and departures by different levels like Wellington airport does [check in/depart upstairs, arrivals downstairs]. So everyone arriving and departing in Auckland uses ground level access/egress. The Auckland LR terminus design needs to work in with that – if thats the design Auckland are persisting with in the new airport terminals. No matter what design they actually use for the terminal, I think both NZTA and AT needs to be “front and center” of the airport companies (AIAL) thinking when they (re)design the LR terminal. We might have accepted PT being tacked on the side of such airport designs in the past. No longer. Because when the Govt and AT are spending as much money on the Airport route as they plan to, and about as much as AIAL spending on their terminal upgrades, I think its right that NZTA and AT should demand that the LRT [and regular bus] passengers needs should come before those who will be using cars or taxis to get to the airport. Even if its only 10% of the estimated LRT route volume of passengers will come from or alight at the airport itself. We can’t treat airport like its the “end of the line” – just because its the current end of the line for the tracks. In fact I believe the LRT design should allow for through running eventually, even if just to protect the route/right of way. So that for instance the LRT route from South Auckland/ or cross town from Manukau could be built in the next 10, 20 or 30 years. Even if not envisaged now. To not plan for this possibility now would be absolutely stupidity of the first order. It is not just the airport, in fact a lot of train stations are poorly integrated to the surrounding buildings. For example train stations like greenlane and remuera are in the middle of nowhere. In contrast to other international cites, where the train station has fully integrated direct connections to the surrounding amenities such as big shopping malls, office towers and residential complexes. Even our station connections to slyvia park and henderson westfields involves steep stairs with poor shelters. It is simply not fully integrated and uninviting and feels like after thoughts. Yeah I can’t believe how poorly integrated Sylvia Park Station is with the mall considering the mall paid for it to be built. You’d think that the air bridge would go straight into the middle of the mall so it is fully weather enclosed, well lit and inviting. Rather than up and down stairs and through the back entrance. Henderson is even worse! Yes getting the right vehicle for the job will be important. I like the new Sydney CITADIS X05 ones in terms of layout and style. Just noticed they only do a DC traction power for them? – we would be using AC I think? Any LRVs for street running in Auckland would almost certainly be DC, 750 volts. That is the most common specification for new LRVs from Alstom, Bombardier and CAF. DC can fit in small substations you could put along the route. AC can power for longer distances but requires a larger substation and power supply cabling. I agree with the comments on station integration and interior layout. ahhh thanks good to know. This general model is quite customisable in terms of length/modules & have wide doors, can have extra double doors etc. 67m long. I guess may be superseded by the time Auckland orders theirs but likely very similar. The other reason for LR that gets overlooked is the need to expand our currently pretty limited frequent network . When extending HR to the Airport is going to cost more than Dominion Rd LR and have pretty much the same travel time, why would we spurn the opportunity to add a new route? And trying to put HR or busway through there would require the closing of Dominion Rd to all other traffic. Isn’t it great that Auckland Council is one of the largest (is it THE largest) shareholder of AIAL. Ideally it should be able demand that the LRT [and regular bus] passengers needs should come before those who will be using cars or taxis to get to the airport. Auckland Council is the largest single shareholder in AIAL (22.32%). As its a public company,a large shareholder cant demand anything. The company has to act in the interest of all shareholders not just one. if you have 50% of the shares maybe you could have a majority of seats on the board and those ‘may look kindly’ on those passenger needs. 22% means you have very little say. 4 of 8 AIAL directors dont even live in Auckland. So we shot ourselves in the foot there, then, didn’t we? Not sure what that means, so i’ll take a hunch. The 22% is the remnants of Aucklands councils 50% before amalgamation. Most sold out their shares except Manukau. I suppose the 90s is ancient history to a lot of people. Greg N your a wise man and your reply is very good. The LRV in Seattle is described in glowing terms but they look like the Adelaide Aust Light rail version but more ugly but are however narrow and difficult to move around especially once full with standing passengers. The proposed end of line at the airport is short sighted and should be continued onward to Manukau City and future proofed to travel further to Botany Howick and Papakura. The Mill road Plan is destined to builda $ 500 million Mill road into another slow moving carpark to Parallel the SH1. The so called plan to provide access to the housing developments south of Takinini and Drury. Why build a car only access development to this new area and have to go back and retro fit LRT or rapid transit in a few years. The time to do it is now destroy the plans for a 4 lane slow moving carpark and instead build a two rail LRT and re instate the existing 2 lanes of road traffic. The planning is centralised for the Auckland city residents and ignores the South developments putting on more car filled congestion and stupid at grade roundabouts give the planned a D- better still sack them for incompetence. Yes. Far better to use that $500 million for public transport for the housing developments, and some safety upgrades to the roads. Absolutely agree with you Heidi. I don’t work much in the south, but when I do it seems that the only way people get around is by car. Makes me want to get back to the Shore where the options are poor but better. Is there no love for the Domestic Terminal? The airport is rebuilding as a combined (domestic plus international) terminal in the next decade. By the time Light Rail reaches the airport, the domestic terminal will have been moved to the international terminal building. Send an OIA to Council or NZTA about the Mills Road project and ask them the questions that you are posing. 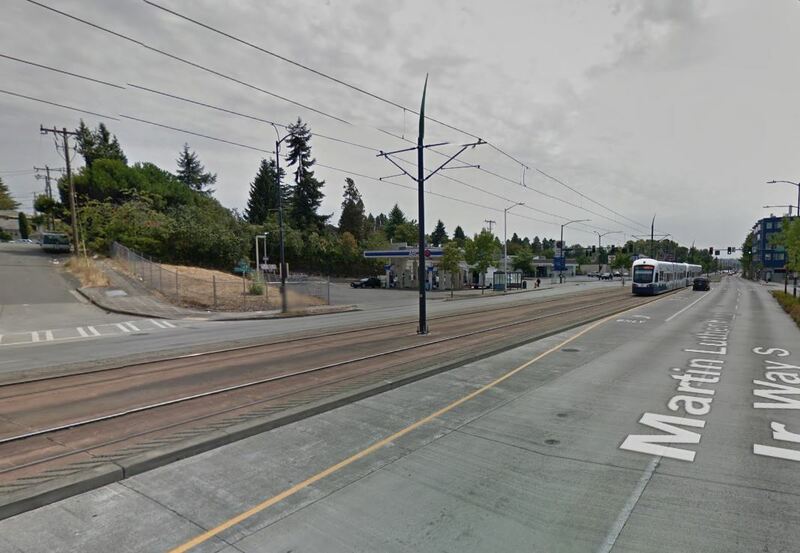 Is the project amenable to a retro fit of light rail? What is the cost benefit analysis of the two concepts? I would email them myself but I am struggling to manage the responses to North Shore issues. I wondered if Seattle light rail was profitable. The figure via Google was “Average loss per passenger ride: $3.91” which doesn’t mean much if they are really long journeys. Or if most of the cost is badly structure financing of the original building. And I would prefer figures from multiple unbiased sources. However it causes me concern and I hope someone has better financial data supporting Auckland LR. That is US$ so about 5 NZ$ per passenger. Both Auckland council and myself are happy with 50% subsidy per PT journey (pays for itself in building infrastructure) so I’d be happy with say $2 subsidy but not $5. How much are you happy to subsidise driving, Bob? zero of course. But I am happy to subsidize cycles and public transport. Are you thinking of rego and gst? I’m thinking of public health and climate change. Each dollar we don’t spend on shifting people onto pt from their cars is 100s of dollars we’ll be spending on fixing our mess. It helps to see Seattle’s succesful LRT in perspective. Seattle is much bigger than Auckland, metro area of 3.7 mill against our 1.7mill. And surprisingly it didnt have a normal commuter passenger rail service until 2003, and then only a limited peak hours service ! Essentialy it best for those on the outer surburbs ( Everett 56km from downtown and Tacoma another 50 or so km away). Another disadvantage is most of the Northern line runs along the coast and not the center of the Seattle Isthmus. The current LRT takes advantage of some bus tunnels built under the city core ( 2 km) and forms effective loop around the CBD ( equivalent in Auckland would be from CBD around to say Parnell ,Newmarket and back). That sort of configuration allows a lot of short hops to inner city to fringe CBD. In a broad sense the LRT is really the only rail based public transport for millions of Seattle residents. I think you are confusing the two systems in Seattle. The light rail doesn’t have a loop, it just runs in the tunnel under the CBD. There is another streetcar line, a tram, that runs in the street but it’s not connected in any way. As for the light rail it’s a great example. About 25km and 14 stations between the CBD and a large area with formerly only bus service, anchored at an airport. An excellent example of what Auckland plans. I agree with you Nick, a very good comparison. And there seems absolutely no reason why first year target ridership for this line shouldn’t be 20 million passengers. The airport catchment is huge and there is a very large catchment along the way. Yes Auckland is way smaller than Seattle, but Auckland is going to embrace public transport isn’t it? Ha ha ha. You sound like we’re dragging you kicking and screaming, Bob. The big increase in ridership came from the University connection , not the airport. For Seattle LRT was the right choice as their primary rail based system. How many of those passengers are just transiting through AIA, arriving from/departing to a domestic connection for an international flight? They wont be departing the airport and needing PT. Regardless, not all travellers will be taking the LRT line. Others will take the Puhinui extension, others will take the bus, some will take taxis and some will be picked up. In either case, we wont have 20m passengers using the LRT, probably ever. EDIT: a respons3 to the ” blue sky dreaming” comment from Taka-ite, below. > How many of those passengers are just transiting through AIA, arriving from/departing to a domestic connection for an international flight? They wont be departing the airport and needing PT. 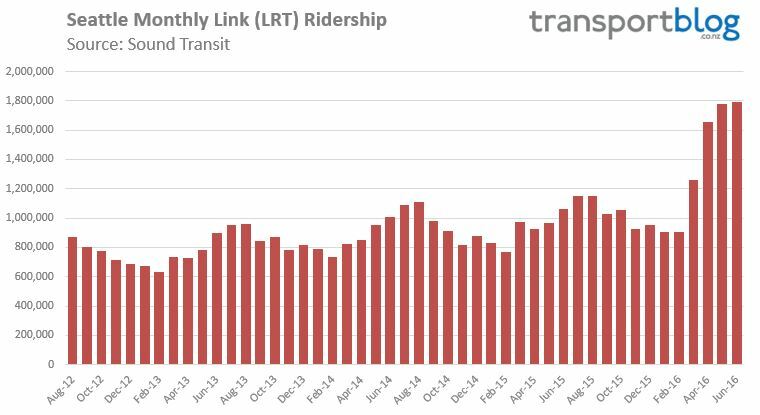 KLK, yes, many transit passengers won’t need ground access such as the LRT, but remember that once you have high-quality, reliable PT, it can drive changes in behaviour. This applies to transit passengers as much as city commuters. For example, if you were transferring from a domestic flight to a long-haul international service out of AKL, at the moment the road congestion around the airport is a strong disincentive to leave the airport terminal area. No one wants to miss their onward connection, so even if you arrive a few hours early for your international flight in case your domestic leg is delayed, the tendency is to blob in the international terminal. But, what happens once the LRT is built, offering reliable trips in 5 minutes to Mangere/10 minutes to Mangere Bridge/15 minutes to Onehunga etc? If you have a few hours to spare, then all of a sudden you can spend an hour and a half outside the airport enjoying a slice of the city with no risk of missing your next plane. If it’s Saturday morning, wouldn’t you rather be at the Mangere markets than in an airport terminal which is sterile by comparison? Or having coffee in Mangere Bridge or Onehunga? Good thing our LRT line will serve not one but two universities, as well as the City Centre, waterfront, ten suburban neighborhoods, five town centers and the airport business precinct, as well as the airport. My comment was targetted towards the suggestion the proposed LRT line will be insufficient, given AIA’s projections. I think the line will boom for the reasons you and Nick R mention. Ideally it would continue on and link up the airport to Puhinui and Manukau, eventually being the RTN line through the east. Its a quick run to the CBD and connections to other Sydney main lines. Brisbane has the same issues with low train usage from the airport and it too has stations to both terminals. Nick – exactly. The LRT line will serve so many activity centres, it’s bound to be heavily used. I was trying to provide another small way it will be useful that people don’t think much about. I totally agree with you, if we build it well, to be efficient and reliable, they will come. Ztev Konrad – remember that boarding/alighting at SYD is much more expensive than the regular stations either side (!) of the airport – there is a huge airport surcharge. AFAIK BNE stations also have a surcharge. On this note, we must fight hard to avoid an airport terminal surcharge for the Auckland LRT. It’s simply self-defeating. On the Seattle theme, I was just surfing from a Greater Auckland post and ended up at Dong-ho Chang’s instagram pic of laying “Silva cell for better tree root growth”. Anyone know if we do this in NZ? So not possible to have 27,000 people riding each day between two of Auckland’s larger areas of work; and two universities up the road (AUT and AU); and an airport; and a major convention centre; and a significant residency population in the city and along the way? If the answer is not, why not? What does AT intend to do wrong? Will it be a pricing issue? Will the operating hours be constrained? Will the airport seek to protect its current parking revenue? Why can’t the line operate 24 hours per day – airport arrivals and departures almost do? Mostly Auckland seems constrained by what happens now and our observation of what many of us see when we travel to other English countries from where many of us came. Those countries are largely not at the forefront of great PT systems.But against that background most Aucklanders are asking for better public transport. Is it reasonable to assume that is because they might use it? There seems little reason why many of our trips won’t become by PT. Maybe it might be required that many of our trips happen in that way? What for example will happen if carbon zero by 2050 becomes a reality? The Productivity Commission has already suggested less cows.Will the extremely well organised rural sector tolerate such a move while Auckland carries on with a car centric transport model. Given the storming of parliament at the time of the proposed introduction of the “fart tax” my guess would be no. I think that it is extremely probable that this line will carry 20 million people per year. Where else will the growth come to take Auckland from 93 million to 170 million trips? Have you not noticed the advances with electric cars ? I’m not arguing that NZ should squander billions of dollars hosting the Commonwealth Games. But look at how Auckland’s heavy rail patronage has grown. Any public transport solution needs to be able to scale up because it truly is a case of ‘build it and they will come.’ Demand will probably exceed current projections. I’m not that familiar with G.Link but I’m sure someone here can comment on what Auckland can learn from it. Very interesting post Bear. So a daily average of 33,000 odd trips it seems and competing against heavy rail. I accept that Brisbane has a huge population. It will be fascinating to see what projections AT have made for ridership on the “airport” light rail? Has anyone seen this? Not sure but the older SMART indicative business case has related appendix G with detailed AM peak 2hr period numbers 2026/46 for every little bit of each of the shortlisted options. The business case itself page 100 has 2026 totals LRT southbound on Manukau Bridge 742, Dominion Rd 725 (note 3,754 north bound), SH20A roughly 620. The numbers really jump up in 2046.